Can commuting be enjoyable? Most people wouldn’t even dream of putting those two words in the same sentence. They picture sweating on the metro or sitting in gridlock traffic as precious time ticks by. Well, it is time to take back your commute! These six tips will help turn your commute into an exciting part of the day. You heard it from your elementary school teacher hundreds of times “Learning is fun.” But then came homework and years of college to get through. Before you knew it learning was a drag and you couldn’t wait to get to work in the “real world” and be done with school forever. Hello, podcasts! Podcasts are digital audio series and have changed the learning game. They make it easy to stay informed and learn more on a topic than you can imagine. Whether you’re a podcast newbie or looking to switch things up, these shows will an asset to any commute: The Daily by the New York Times for current events, Pod Save The World for foreign affairs, Revisionist History by Malcolm Gladwell for little-known historical stories and Channel 33 for all things pop culture. Have you ever opened Instagram only to realize there are no new pictures because you checked it five minutes ago? We all get tired of the usual app cycle: email, Facebook, Instagram, Twitter, Snapchat, repeat. Fresh apps = a fresh commute. Here are some apps to help you make money, have fun or learn something new. i-Say is a survey app. Make an account and get ready to earn points that are redeemable for gift cards. The length of the survey is listed in the description and it’s easy to accumulate points. Put on some tunes, help companies get feedback and be rewarded for your opinions. Texture is an app that offers over 200 magazines for one low monthly price. They offer a free 14-day trial. You’ll never run out of things to read during your commute! Classic game apps are a perfect way to pass time. People swear by Jigsaw Puzzle, which is all the fun of puzzles without searching for missing pieces. Try other classics like solitaire or Uno, or branch out with 1010! and Two Dots for games that will have you hooked. Need an incentive for walking to work? Achievement is an app that will pay you just for walking. Create an account and sync it with an app like Apple Health or Fitbit. Every 10,000 points can be redeemed for $10 through PayPal. The more you walk, the faster you’ll get to ten bucks! You have a huge meeting today with the head of the company. Lots of preparation has gone into your presentation. It’s raining, but that doesn’t bother you… until you step into a huge puddle. Or, the bus breaks down and you must walk. These situations always seem to happen on the worst days. If you’re prepared, stepping in a puddle or getting caught in the rain will just be an unremarkable part of your day. How does one prepare? Introducing an emergency kit to the rescue! For the sake of sanity, every commuter should have an emergency kit on-hand. This doesn’t have to be fancy and can be created using an old makeup bag or pencil case. Don’t know where to start? Here are some items to include: medication, tissues, mini deodorant, mints, pocket raincoat, stain remover and a mini lint roller. Keep it in the car or in your bag and never let unpreparedness ruin your day again! There is a certain feeling one gets after going a while without eating. We become more irritable and likely to snap at others. “Hangry” is the proper term for this phenomenon (yes, it is even in the Oxford dictionary) and the good news is it’s easily preventable! Snacks bring us happiness and yet they are the first things we forget when running out the door. At the beginning of the week, stock your bag with snacks for the entire week. And no, these are not to replace breakfast. Breakfast is essential for a productive day, but these snacks serve as a mood-booster and a little bit of happiness in the morning or evening. 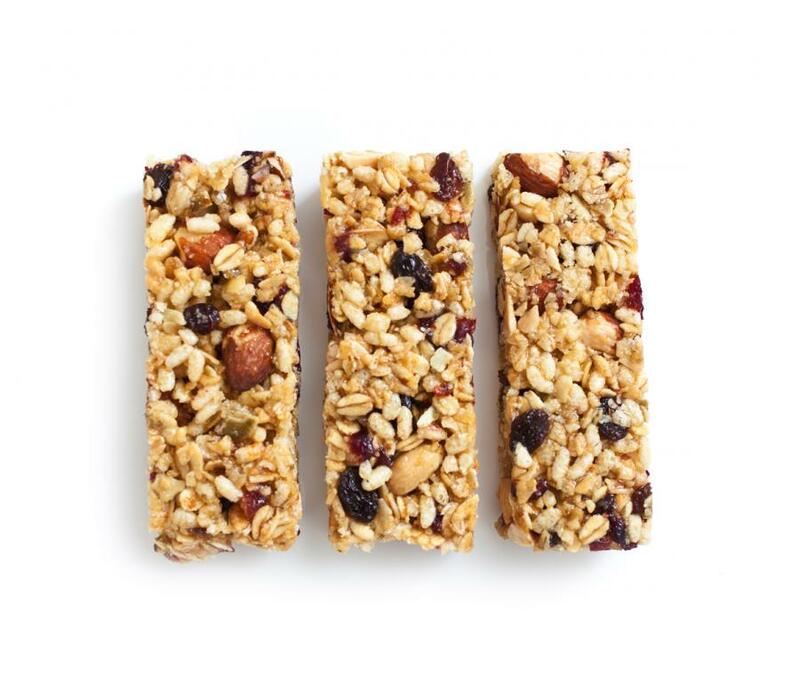 To help you prepare: on Sunday night grab five different granola bars, 100-calorie packs or your favorite treat and put them in a compartment in your bag. Have a small bag? Put the snacks in a place you walk past every morning, like by the door, so that you decrease your chances of forgetting your snacks at home. Try walking one block over and taking a different metro line, or get off one stop earlier and walk the remainder of the way to work. If your city has a bike share program (check out DC's Capital Bikeshare program), make a pledge to try it once a week. Trying something new will take the monotony out of commuting. If public transportation takes longer than your typical commute, take advantage of the extra time. You can have some “me” time through reading, journaling or doing other activities that would be impossible while driving. Congratulations! You’ve made it through your commute. Now you can look forward to...work. Well, that can be a downer unless you are one of the lucky few who loves what they do day in and day out. One way to make it better? Treat yourself! There may be a bakery you pass every day or a new kickboxing gym a few blocks over. Take advantage of what is around your office. Build in at least one “treat” a week. It can be as small as a latte or as big as a massage- but it will make a difference in your life, and it's the perfect cap to a commute. At AdvantEdge Workspaces, we make it easy to treat yourself! Our two locations are accessible by multiple metro and bus routes. After an easy commute, there is plenty to do at both our Downtown and Chevy Chase locations. We believe that an office should not be a place you dread, it should be a welcoming place that you want to be in every day. The spaces are modern, functional and stylish. We offer small businesses, nonprofits, freelance workers and individuals extraordinary amenities like personalized, front desk reception and inviting meeting spaces. Join our community to see how our clients treat themselves every day.